LifeAfter is a survival game that showcases humanity's last defence and survival in a post-apocalyptic virus-infected world. How to download LifeAfter on iOS? The game only works on devices that support iOS 9.0 or above and is compatible with the iPhone, iPad and the iPod Touch. How to download LifeAfter on Android? Android users can download the game from the Google Play Store. LifeAfter is a free-to-download game but features in-game purchases for additional content. One must require Android 4.0 or above to play the game. 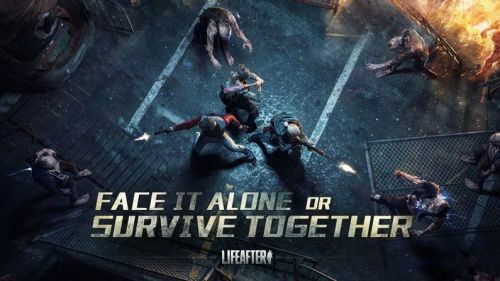 Regarding the game, LifeAfter's setting explores the ultimate survival instinct of human nature as players are tasked to stay alive in the virus-infected world without contacting any further diseases. Additionally, the game deeply explores the survival aspect by focusing on the scavenging part as players must explore the vast concrete jungles or abandoned mines in search of salvage and supplies, all of which are quintessential for survival. Finally, one will encounter other countless survivors and build a sanctuary that can house the rest of humanity. Download LifeAfter on your mobile devices now and let us know what you think in the comments below. PUBG Mobile Gift: How to get a Premium Crate in PUBG Mobile for Free? Apex Legends Mobile: What impact will it have on PUBG Mobile and Fortnite Battle Royale Mobile?